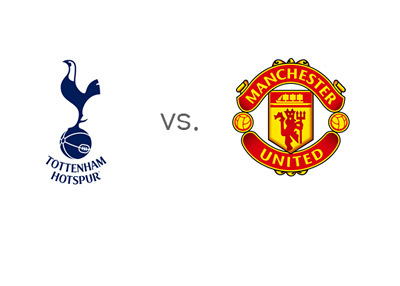 Possibly the highest profile match in Europe this weekend, Tottenham Hotspur vs. Manchester United, will take place on Sunday, December 1st, 2013 at White Hart Lane in London. The Spurs are struggling at the moment. They were completely disassembled (6-0) last weekend by Manchester City at the Etihad. They managed a somewhat minor victory in the UEFA Europa League on Thursday vs. Tromso, in a game where they played several bench players. Andre Villas-Boas and his team are in ninth place in the EPL tables at the moment. Manchester United destroyed a very good Bayer 04 Leverkusen side away in the UEFA Champions League on Wednesday. The Red Devils won the game with the score of 0-5. They are currently in sixth place in the EPL tables. There is something brewing at United these days. The team is showing awesome form and playing with swagger. Emmanuel Adebayor, Danny Rose and Christian Eriksen are sidelined for Spurs due to injuries. Michael Carrick is out for United, but Robin van Persie and Nemanja Vidic are looking to return to the first eleven. Looks like a fairly even contest, according to the odds. A 100 € bet on the Spurs could return 187 € in profit, while the same bet on Man United could return 162 € in profit. The most likely score is a 1-1 draw, offered at 11/2. Javier Hernandez and Robin van Persie are the favourites to score at 7/4 each, while Jermain Defoe and Roberto Soldado are the favourites to score for the hosts at 2/1 each. The media is all over Andre Villas-Boas at the moment. They are saying that he might even be canned unless his team shows something special against the champions. This is probably all just hype. Tottenham have a brand new team, assembled by players from all over the world just a few months ago. They need more time. Manchester United are undefeated in their last eleven games. Some are saying that they are back in the title race. The current odds for Man Utd winning the 2013/14 Barclay's Premier League title are 7/1.